See showroom for available design choices. 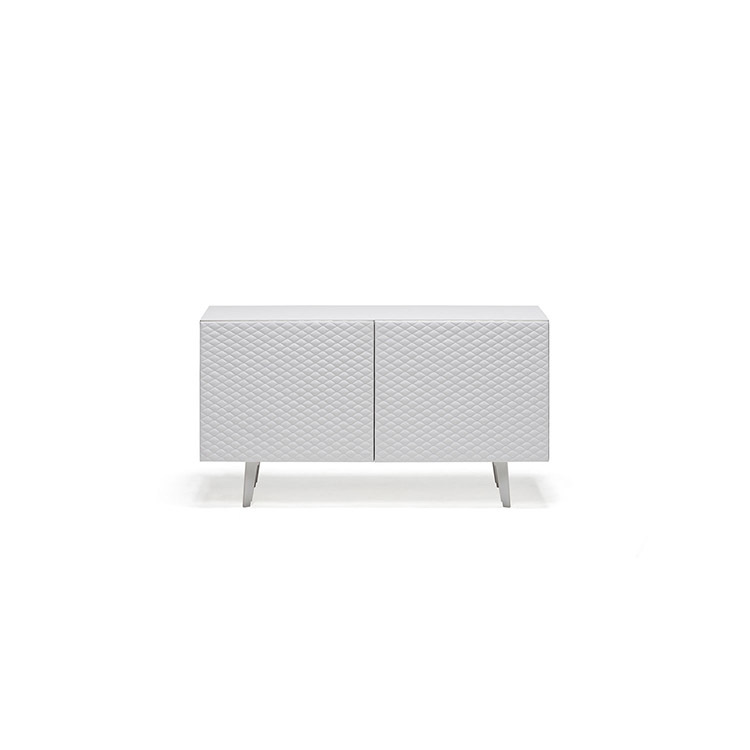 Sideboard 2 or 3 doors in lacquered white, black or graphite embossed wood. Embossed steel base in the same color. Doors covered and quilted in soft leather as per sample card with embossed titanium aluminum profiles. Internal clear glass shelves. Optional: 1 internal drawer in the central door of 3 version. Optional: top in frosted glass painted in the same color of the structure.